It has struck me lately that doing something for others, rather than just for ourselves, is really the purpose of so much of what we do here. I've felt this most intimately with my own kids. Some days I wish I had all to myself. To clean and have it stay that way, to garden without interruption, to have the time for elaborately prepared meals...to sleep! But then I think, who would I be doing those things for? If only for myself, the tasks somehow lose their meaning and their appeal. We often (surprisingly often) have visitors here as well. I like to think somehow people are drawn to this place, and I hope I have a small part in making that so. I'm not certain I do, but I still try to put out that kind of energy, despite my introverted nature. 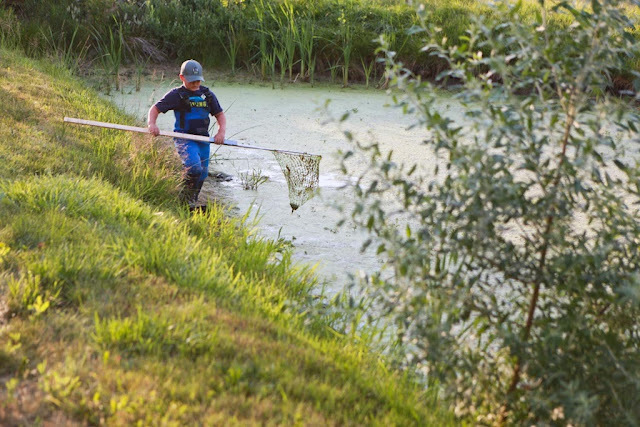 My husband is a natural at it - always welcoming or encouraging people to visit, he treats everyone like family, allowing the kids to tag along for evening chores or other acts of generosity in many small, but meaningful ways. Of course, we benefit, too, from work in a lovely environment, surrounded by animals and nature. But what is beauty for, if not to share it? And what of a lovingly prepared meal if always eaten alone? This is really the reason behind our self-titled "Ngo Family Farm." Have I told you this? We never intended to buy a much-too-big-for-just-us house and a couple acres to keep it to ourselves. In fact, if I truly had my way, it would be more of a family compound, with much of our family living right on this very land! But we have the next best thing - family (and adopted family) coming to visit, to share in our joy of homegrown eggs, to sit by the pond, to help tend the animals, to hold the baby. And I've become a bit less shy about asking visitors to help with a little something around here, because I've realized it gives them some ownership of this place, too. They benefit as well from doing something for others; Most especially the children, who naturally gravitate toward caring for the animals. And so we are good at sharing. And not holding back giving of ourselves. And this, I think, is what a good life is about. This actually brought tears to my eyes, what a beautiful post! I would prefer to have friends and family close by and dropping in unexpectedly too but it's not to be at this point in our lives. Many hugs to you, Candy! Whenever I catch myself wishing we lived on a larger piece of land in a more isolated spot, I think of how fortunate we are to have some family reasonably close by. It's a trade off, for sure. We moved to a country town a few months ago, and I love it! But I also love having visitors - friends and family. It's a little further for them to travel, but it somehow makes it more special when they do. Some have made the effort, some not yet, but I'm hoping they will. When we do have visitors, we do a combination of special outings, and our normal at-home stuff. The visitors seem to enjoy the at-home stuff just as much as the special outings. We all get something out of it. It's a real sharing. That photo of your two little ones is just gorgeous! Beautiful post Jaime. Something for us all to think about. (And that last photo is totally precious). That last picture...wow!! 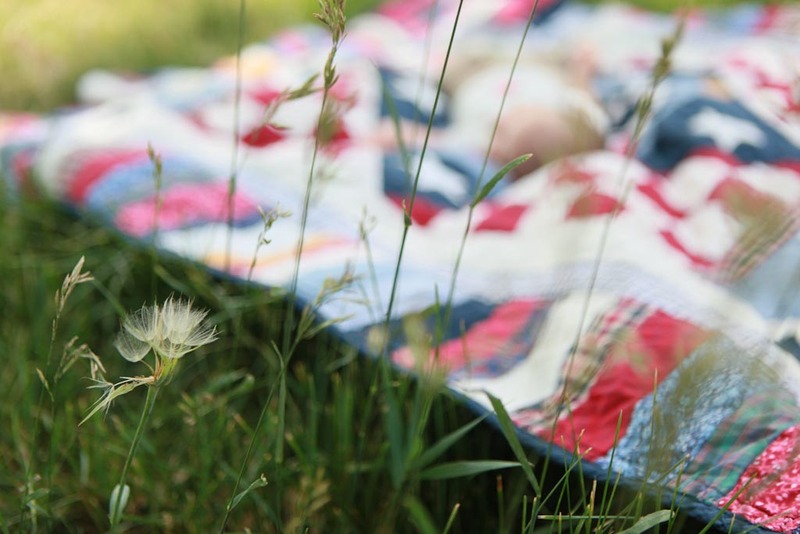 Imagine, as a mama, just lying down on a quilt, a mattress of grass beneath, and napping in the summer breeze. Ah! So peaceful! Beautiful post! That last photo takes my breath away- those sweet baby heads! Amazing post. And just what I needed as I've been suffering from a bit of that "what's this all for..." at the moment. For sharing. Excellent. Thank you. Such a beautiful reminder. Thank you so much for sharing your heart. 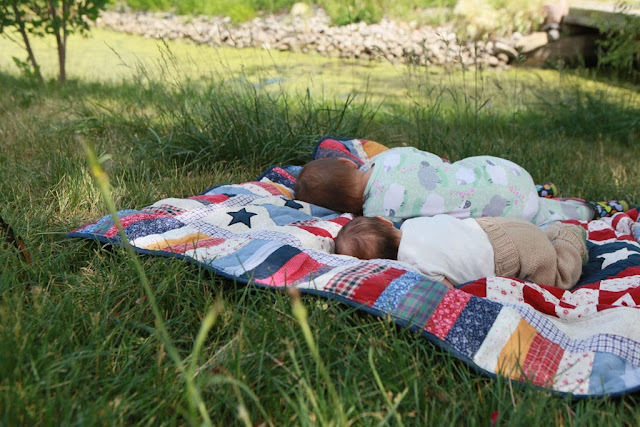 And total sweetness, those babies on the quilt! 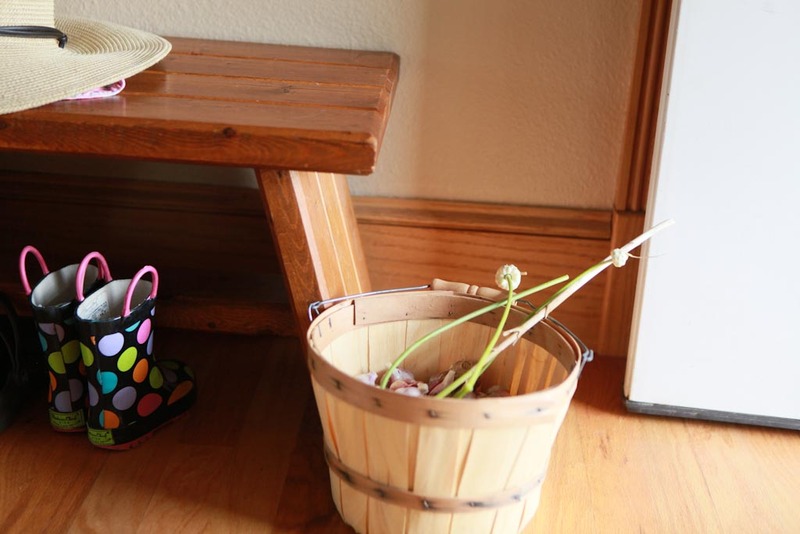 What a lovely way to think about your farm -- your home! so so so lovely, and this picture, the last one, mmm makes me smile so much!